Father daughter portrait in steel shed doorway. 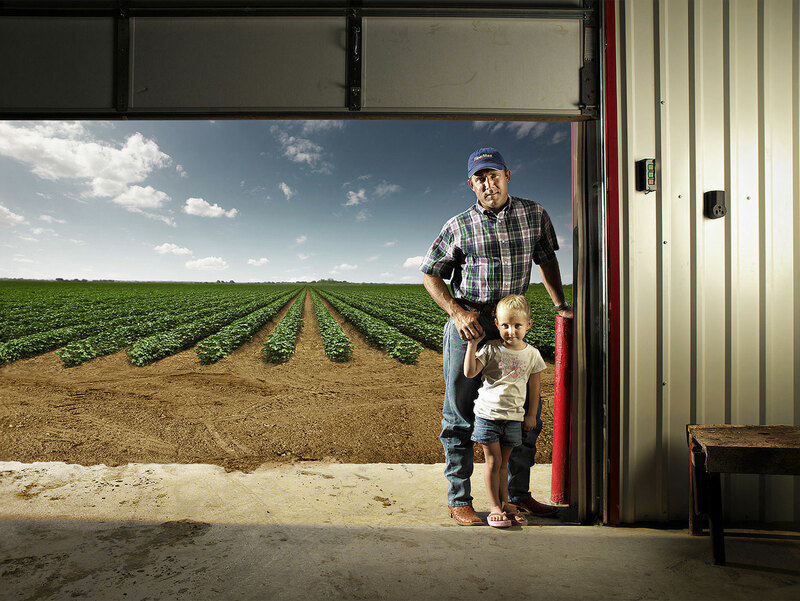 Cotton farmer and his young daughter in his tool shed on a cotton farm in West Texas. © 2013 Robert Randall Photography.